Gaining a degree will “help in more ways than students imagine”, according to a top Sussex businesswoman. 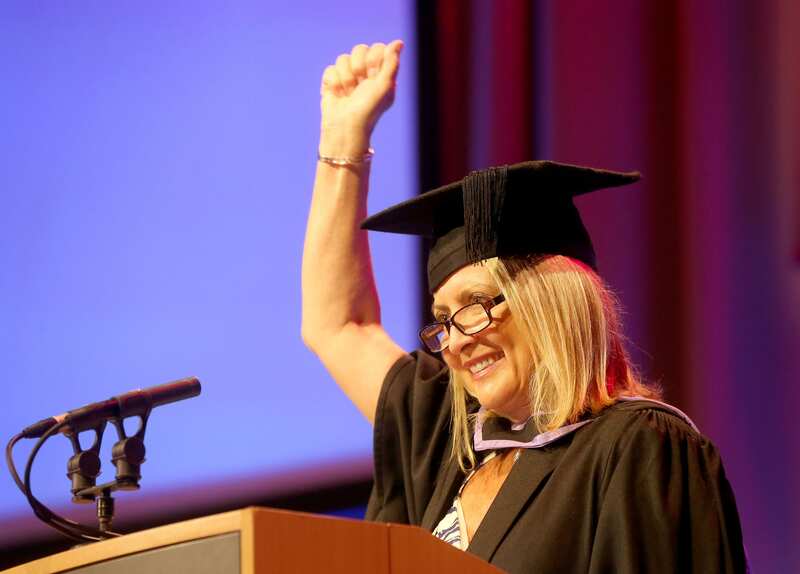 Sheila Flavell, Chief Operating Officer and an Executive Board Director of FDM Group, the international IT services provider and the UK’s leading employer of IT graduates, spoke to business graduates at the University of Brighton awards ceremony at the Brighton Centre on 3 August. She advised graduates: “Lead by example. As graduates you are entering the world with an important role to play. People will look up to you, they will listen to you and they will want your thoughts and ideas. “You are the future, not just the future of the UK workforce but the future of the international workforce. And right now businesses are facing many issues, not least from the gender pay gap to changing working models, and to Brexit. “Never has there been a greater need than now for fresh minds with an optimistic outlook. “So I’m asking you, the graduates of 2018, what are you going to now in your life that is big enough, bold enough, and inspirational enough? What are you going to do to make your parents as proud of you as they are right now?